will to not just hear the words we say, but also answer the prayers we cannot express in words. 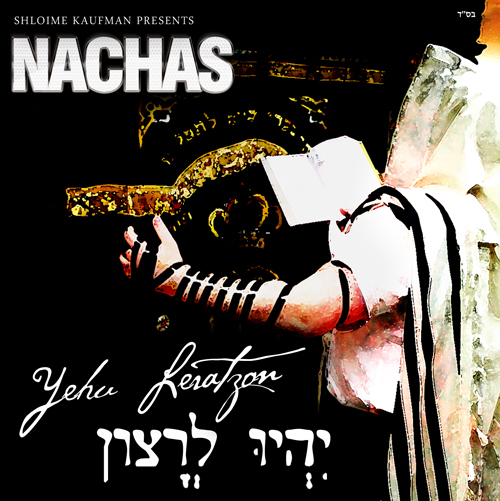 It is with this message that *SHLOIME KAUFMAN* proudly presents the newest single by *NACHAS* entitled *”YEHU LERATZON”*. Composed by Shloime Kaufman with lyrics by “Zevi Kaufman*(Language of my Soul, Final Say and Fly Away). Arranged and Mixed by Shloime Kaufman as well as the world renowned producer *Tony Coluccio* of Global Media Music (Avodas Tzedaka, Language of my Soul) and, Technical Assistance by Akiva Bomzer of A-Bomb Productions.